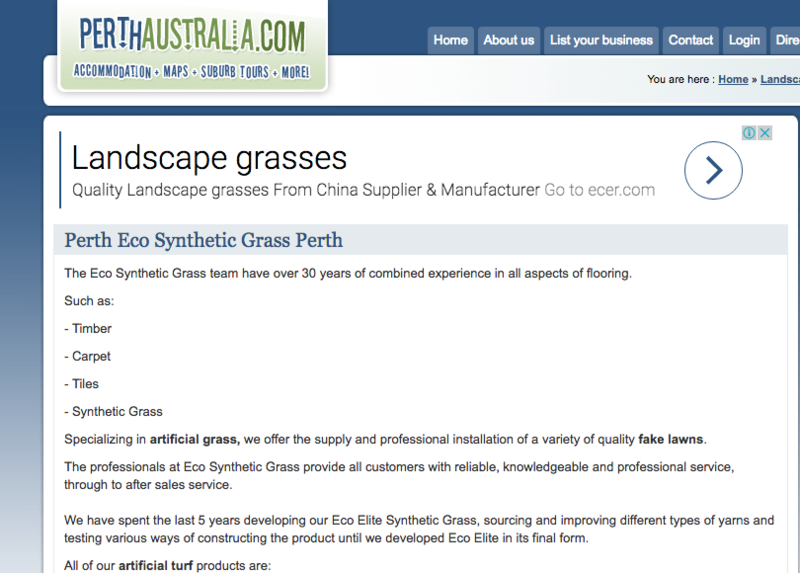 We areÂ proud to get Eco Synthetic Grass posted in some of the most trusted Perth landscape directories. It is our way of ensuring you’ll Â find us easily. Here is a list of the some of the directories who have just accepted us. 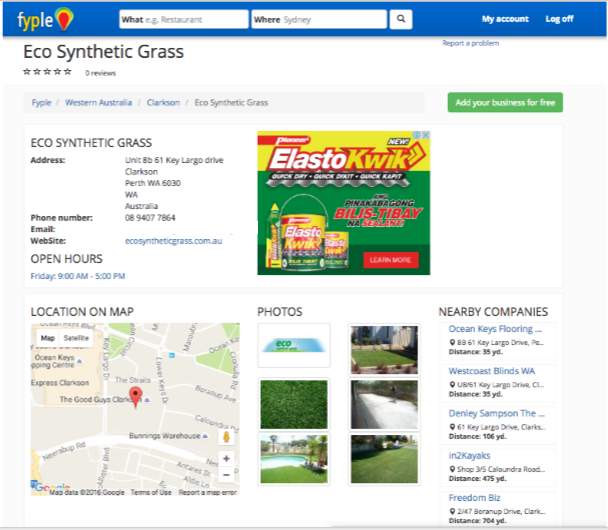 With overÂ 150 businesses added per day, Eco Synthetic Grass is happy to be part of the Hot Frog Australia Perth landscape directory. It boosts our online presence as it is viewed in over 38 countries worldwide. It even receives a massiveÂ 5,655,393 page views per month andÂ 2,699,683 unique users per month. Perth Australia is rated as one a popular Perth landscape directories amongst tourist and locals. This month, we are happy to have been included in their listings, too. 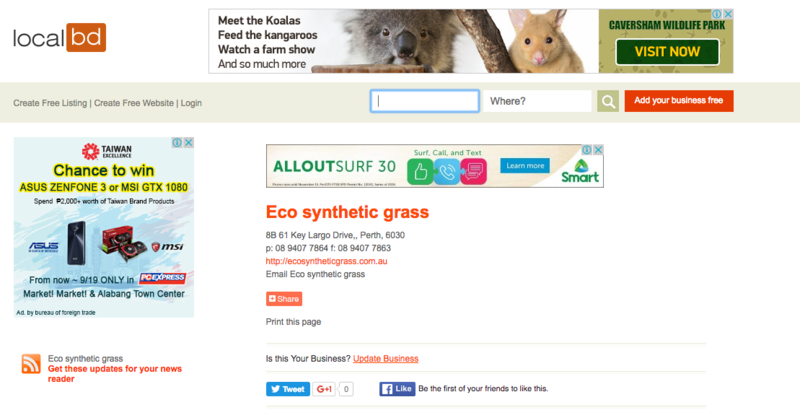 We are really thrilled to see Eco Synthetic Grass getting posted in different websites. 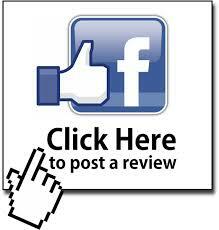 But do you know you can contribute to the online community by posting reviews on these Perth Landscape Directories? Yes! 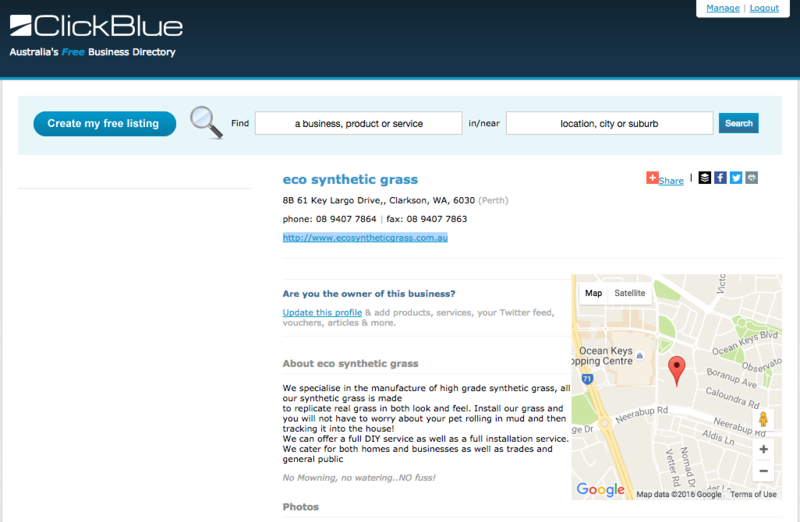 You sure will benefit many homeowners, businesses and professionals looking for artificial grass by posting your reviews. 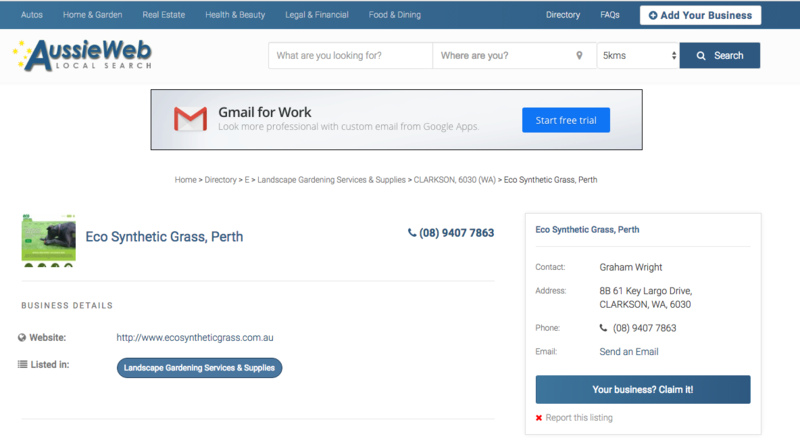 Sometimes individuals need a bit of pushing to convince them that artificial grass is heaps better than natural grass, especially here in Perth. For one, the increasing water rate in our region is starting to be unbearable. So do them a favour and share how you have managed to get that gorgeous looking lawn all year round. Share your reviews on Facebook, just like Brett. Click on the image below. Interested to know more about our products and services? You are more than welcome to visit our Home Page.